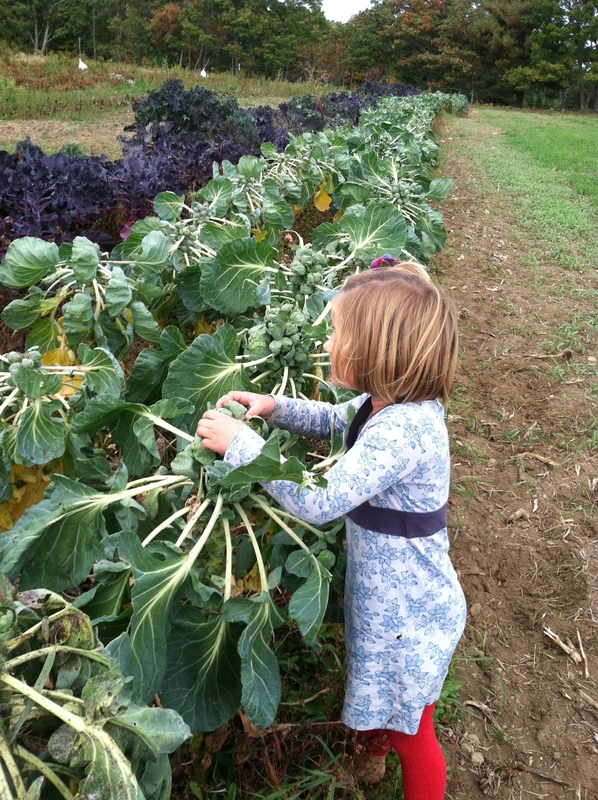 Fall CSA Sign-up is still underway. It is about half full and I’ll open sign-up to the public this week, so make sure to sign up soon if you want a spot! Mushroom, Cheese and FIORE shares are still available, as well. Sign up via the link at http://tinyurl.com/fallcsa2014 or here. Sunday, October 19th at 1pm: save the date for our annual cider-pressing, garlic-popping CSA potluck. Good food, good cider and busy hands are always a magical combination. We were worried about the carrot harvest this year, but we started digging the first fall planting this week and they’re gorgeous! Now if the next two plantings are half as nice we’ll have plenty of carrots to get through the fall CSA and still have enough to sell for bulk winter eating. We’ll keep you posted! And if you haven’t eaten your Delicata squash yet from two weeks ago… do it now! Delicata are the oblong yellow winter squash with dark green stripes. The ones we’ve had this year have been incredible. Bill walked in the kitchen the other night and wondered what I was cooking with maple syrup, but it was just the Delicata caramelizing in the oven! We cut them (and any other winter squash) in half and roast them, face down, for 45 minute or until they’re very easily pieced with a fork. Then we scoop out the seeds, add a little butter and salt if we’re feeling really decadent, and there it is: an amazing fall treat.